When Hurricane Harvey first made landfall on the Texas coast, residents in Vidor may at first have breathed a sigh of relief. The hurricane came ashore a couple hundred miles down the coast and did not prove an immediate threat to places further east like Vidor. Unfortunately, Hurricane Harvey was a particularly slow moving storm and it stalled over parts of Texas, dropping unprecedented amounts of rain. In the days after Harvey came ashore, it was increasingly clear that Vidor would not make it out unscathed. Many Vidor residents moved into a temporary shelter at Pine Forest Elementary School when the shelter needed to be evacuated on August 31st due to rising floodwaters. Hundreds of residents were stranded without food or power in low-lying neighborhoods, and parts of Interstate-10 running through Vidor were completely flooded. According to the National Hurricane Center, nearby Orange County Airport recorded 36.47 inches of rainfall during Harvey’s relentless downpour. The damage to Vidor after Hurricane Harvey was catastrophic. Any available transportation – from private planes to black hawk helicopters – worked to get supplies to stranded families while cars sat floating in floodwaters. Many homes, businesses, schools, and other buildings suffered significant property damage. Many properties in Vidor have been deemed a total loss from flood damage, but property owners are also battling other types of damage. 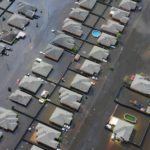 Harvey’s relentless rainfall caused many properties to suffer interior water damage. For some buildings, wind damage created openings for rainfall to fall through, damaging the interiors. 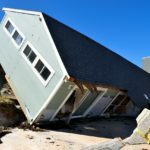 All along the coast and throughout Texas, millions of property owners are struggling with Hurricane Harvey claims. Insurance companies are using a variety of bad faith and fraudulent tactics to minimize or outright deny valid claims, which has dramatically slowed down the rebuilding process and crippled businesses desperate to get up and running again. If you are still struggling with your Vidor Hurricane Harvey claim, you need to turn to an experienced insurance lawyer. At Raizner Slania LLP, our attorneys have years of experience helping victims of natural disasters get the most out of their insurance policies. We already represent hundreds of Hurricane Harvey victims and we may be able to help you with your claim. Call us today to schedule a free consultation to discuss your case.